Javier Ederra will leave his position at the FEVA offices to become, after the vote, the Federation’s new president. In fact, the election is set for April 21st and only one list of candidates was presented, with the native of Bahia Blanca as president. He will be accompanied during the 2018-2020 term by Carlos Miguelena as secretary and Elba Mocoroa as treasurer. Buenos Aires, Argentina. 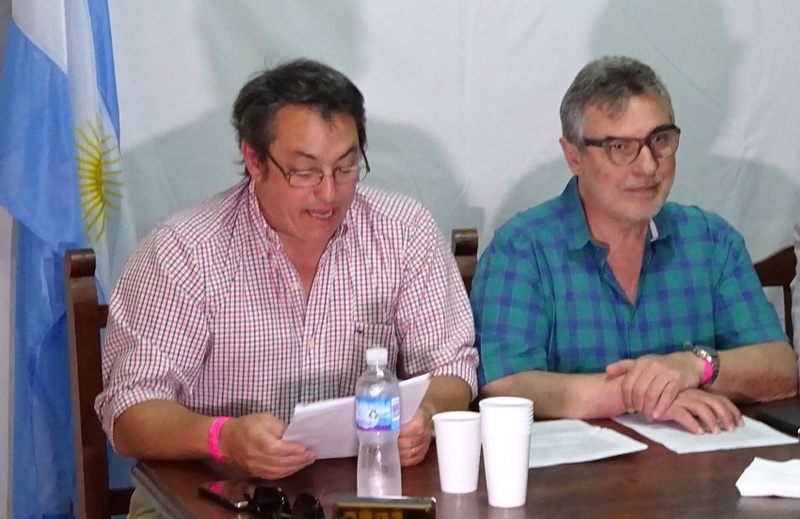 The Federation of Argentine Basque Clubs, FEVA, elects a new president every two years. Today's president, Hugo Andiazabal, was elected in 2014 and reelected in 2016, is not running anymore. There is only one list of candidates presented. This being the case, after the elections, Javier Ederra, current office secretary for FEVA will take over for Andiazabal. FEVA’s General Assembly, where the vote will take place, is set for April 21th beginning at 9:30am at the Laurak Bat Basque Club in Buenos Aires (Belgrano 1144). The federation reminds everyone that in order to participate, Basque club delegates need to be accredited by a note from the club they represented, and that institutions should present irrefutable evidence of their current legal status.